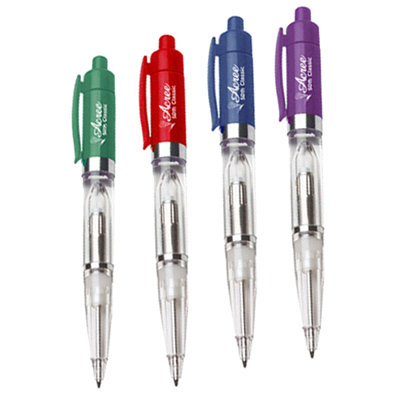 Retractable pen features white plastic barrel with translucent clip and trim. Grip is molded opaque to match the clip color. Plunger and tip are matte silver. Medium point black writing ink is standard. 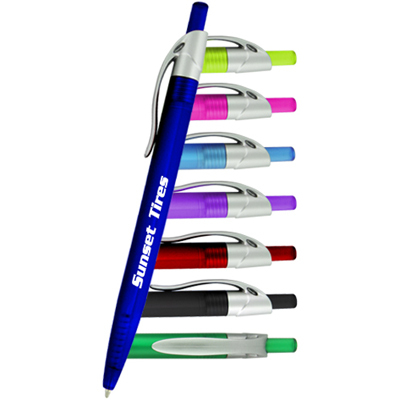 They say promotional pens are mightier all the other promotional products. If you agree, this phenomenal “Ace Pen” is just for you! 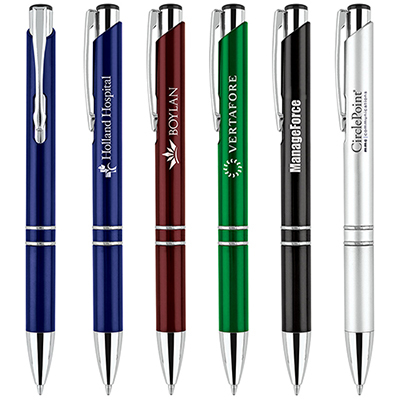 These promotional pens are easily affordable and more importantly extremely effective on your target groups. All your customers and clients who receive them as gifts will definitely think about your brand whenever they use it. So why wait? Place your order right now! 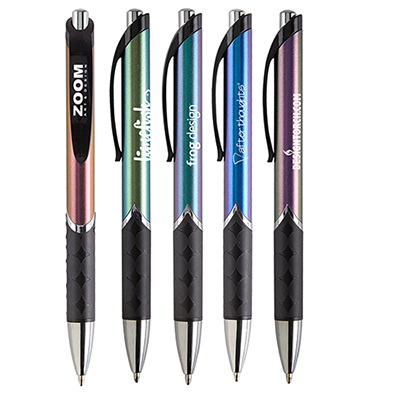 "I am very impressed with the quality of these pens. The service, delivery, and imprint were all exceptional!" "Our experience with you was great. Will recommend your services to our clients as well. " "These pens are great way to advertise brand on budget." 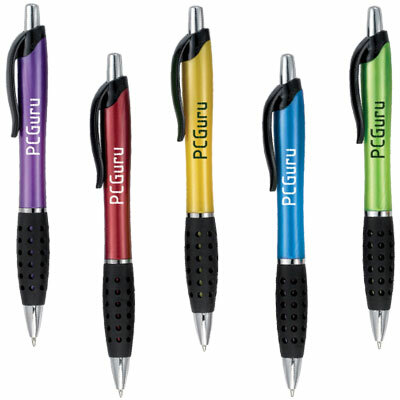 Your logo will stand out with this brilliantly colored pen!